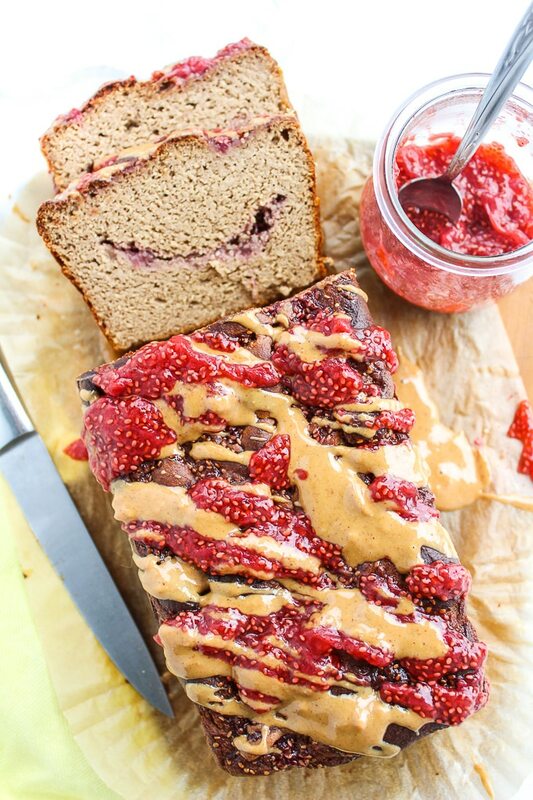 So that chia seed jam I shared the other day – time to whip it out because we’re making peanut butter and jelly banana bread and you’re going to love it! I’ve been waiting a couple of weeks to finally share this recipe with you. I’ve finally put on my big girl blogging pants and got myself together well enough to actually plan and prepare recipes to post a couple weeks in advance. This has given me even more time to test/plan recipes that I so desperately wanted before. The banana bread recipe is one that I adapted from The Civilized Caveman. I made a few adjustments to the base recipe by swapping out a few ingredients and adding the chia seed jam. Feel free to use whatever jelly you have on hand if you want this in a pinch. If you’re strictly paleo feel free to swap out the peanut butter for almond butter or another nut butter of your choice. Personally, I think like is too short not to have peanut butter when peanut butter is what you really want. Preheat the oven to 350°F 180°C and grease/line a loaf pan. Set aside for now. Add the bananas, eggs, 1/2 cup of the nut butter, and melted coconut oil to a blender and blend until smooth. Add the vanilla extract, coconut flour cinnamon, baking powder, and salt and blend once more to combine. Pour half of the batter into the prepared loaf tin. Measure out 1/4 cup of the jam and drop dollops of the jam over the batter. Use a butter knife to swirl the dollops across the batter. Pour the remaining batter over the top of the swirls. Take another 1/4 cup of the jam and dollop and swirl again. Place the loaf tin in your preheated oven and bake for 55-60 minutes or until a tooth pick inserted into the center comes out clean. Remove the bread from the oven and allow it too cool completely. Melt the remaining 2 tablespoons of peanut butter in the microwave or in a small pan. Warm it just enough to melt so that you can easily drizzle it over the top of the banana bread along with the jam. Drizzle both the PB&J and enjoy! This combo is calling my name! 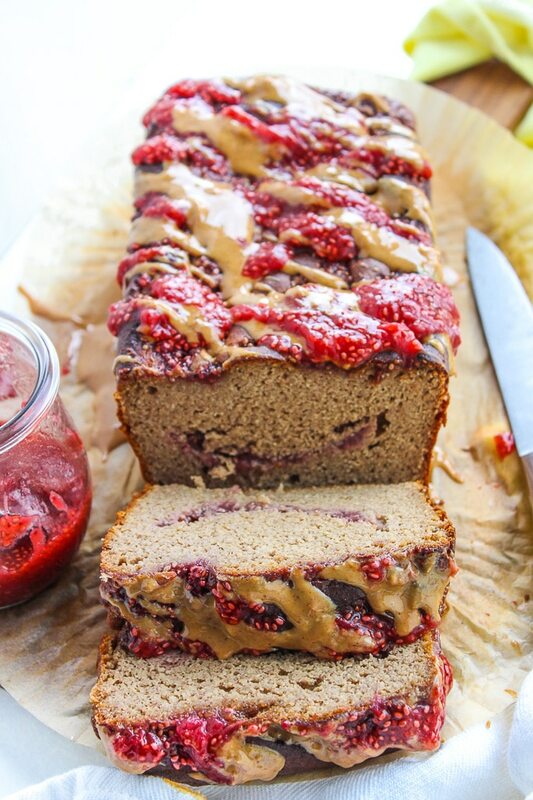 I love banana bread and I love pb & j….how have I never put them together before! 😉 Can’t wait to try this. Brilliant idea and I can’t wait to try this recipe. Great healthy midday snack or breakfast on the go. Sharing ! Whoa! This looks pretty awesome! Thanks so much for sharing them at Savoring Saturdays linky party! I’ll be featuring this later today. Have a great weekend! Stumbled, pinned, tweeted and yummed it. So yummy. I made it without the jam and it was delicious! The jam does look wonderful, though. 😉 Thanks so much for sharing it at Savoring Saturdays, Sarah! I’m going to be featuring it at this weekend’s party! I’m glad you liked it! Thanks so much Raia – can’t wait! WOAH, this bread looks insanely delicious! 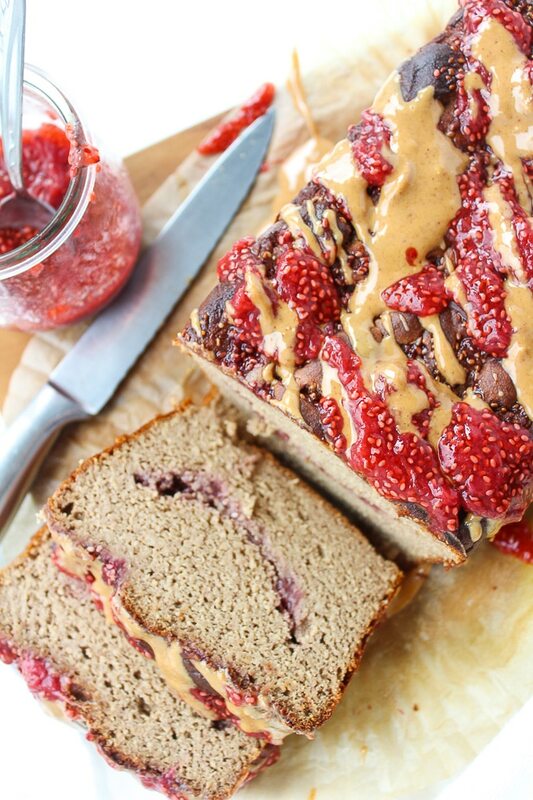 PB&J and banana bread is genius! Oh my goodness this looks so delicious ad so pretty! I just finished baking the bread and i have to say that it is delicious! It’s not too firm nor too soft, it is perfect! and it does taste like a PB&J and banana sandwich? lol..For those peeps with electric stoves, it only took my bread about 30 min to bake and with this time the edges were a nice brown color…Sarah you’re a m-effing genius! Haha! My mother in law always makes sure that we have extra bananas on our counter left to ripen. 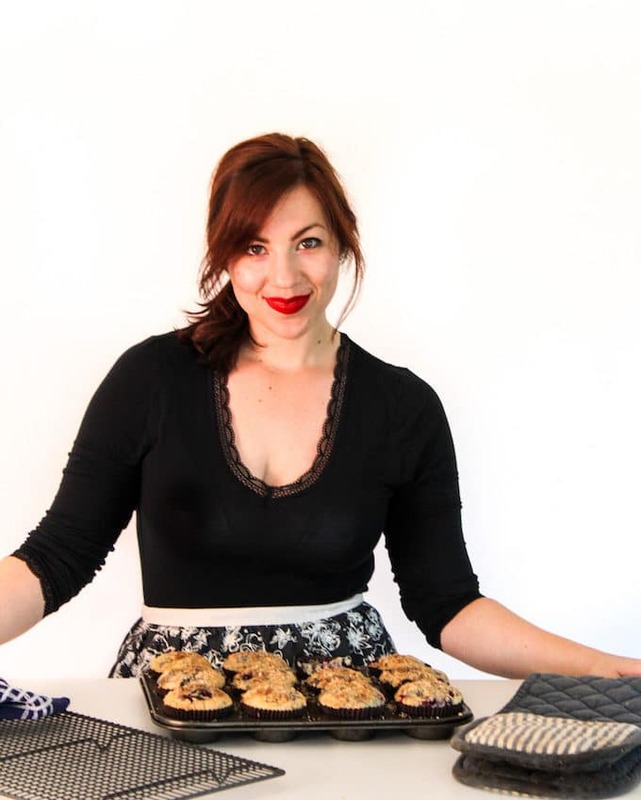 I think it’s her way of encouraging me to make banana bread – no complaints from me! So glad you liked it! Thank you for coming back to leave a comment – and thanks for the electric stove tip! Oh my goodness Sarah this is gorgeous. 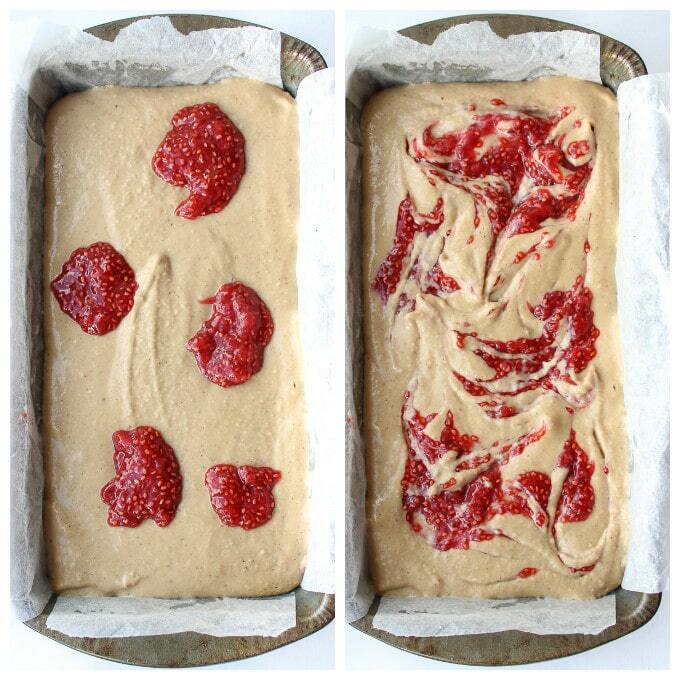 I”m thinking about this with my espresso almond butter and I’m a little bit dying. Real quick. In ingredients do you mean 1/4 cup melted coconut oil? I’m thinking probably yes. I understand why you were impatient to get this one out there. So yum. This looks absolutely perfect! Who knew Bannaa Bread could get EVEN better? !